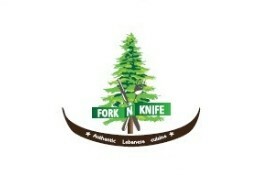 Fork N Knife is currently closed for delivery and it will open at . Paper thin slices of beef sautéed to perfection with pesto sauce. Paper thin slices of beef sautéed with onion & mushroom. Pureed chickpeas and sesame seed paste blended with garlic and lemon juice, topped with sautéed meat cubes and butter sautéed pine nuts. Fava beans simmered in garlic, lemon and olive oil, served with chopped onions, tomatoes and parsley. Traditional home made sun-dried yoghurt and cracked wheat. Traditional home made sun-dried yoghurt and cracked wheat with sautéed homemade meat preserve. Fried eggs mixed with our homemade meat preserve. Stir fried golden potato cubes with eggs. Stir fried golden potato cubes cooked with coriander and spices. Our famous boiled chickpeas & toasted bread covered with yoghurt, tahina & fried pine nuts. Our famous boiled chickpeas, grilled meat cubes & toasted bread covered with yoghurt, tahina & fried pine nuts. A combination of lettuce, tomato, cucumber, fresh mint, chopped parsley, rocket leaves, water cress, capsicum, fresh thyme, red radish and topped with Lebanese cheese. Chopped fresh parsley and mint, chopped onion, chopped tomatoes and wheat, with a lemon and Extra Virgin Olive Oil dressing. Lettuce, tomato, cucumber, fresh mint, spring onion, capsicum, water cress and radish with lemon juice, pomegranate syrup and Extra Virgin Olive Oil dressing, topped with crispy Lebanese bread. Lettuce, tomato, cucumber and fresh mint with lemon juice and Extra Virgin Olive Oil dressing. Fresh Rocket leaves, tomato, and fresh onion wedges with lemon juice and Extra Virgin Olive Oil dressing, topped with Feta cheese. Strained yoghurt served with Extra Virgin Olive Oil. Pureed chickpeas and sesame seed paste blended with garlic and lemon juice. Pureed grilled eggplant and sesame seed paste blended with garlic and lemon juice. Grilled eggplant salad with chopped fresh mint, capsicum, spring onion and parsley, with garlic and lemon juice. Wild dandelion sautéed with garlic, topped with crispy onions. Vine leaves stuffed with rice, tomato and parsley cooked in olive oil. Char grilled assortment of shish tawouk, kafta kebab, and lamb cubes, grilled to perfection on charcoal and served with our delicious garlic paste. Tender juicy chicken cubes grilled to perfection on charcoal and served with our delicious garlic paste. Boneless half chicken marinated with garlic, lemon sauce and olive oil, grilled to perfection on charcoal and served with our delicious garlic paste. Tender juicy chicken wings grilled to perfection on charcoal and served with our delicious garlic paste. Tender lamb chops grilled to perfection on charcoal. Arabic bread stuffed with minced lamb meat, cheese, mushroom, olive and pine seeds cooked on charcoal. Our famous tender minced lamb with parsley & onion, skewered and grilled to perfection on charcoal. Tender lamb cubes, skewered and grilled to perfection on charcoal. Strips of meat grilled to perfection, served with tarator sauce, pickles, chopped parsley and onion wedges. Strips of chicken grilled to perfection, served with our delicious garlic paste and pickles. Arabic bread wrap stuffed with tender grilled chicken cubes marinated in oregano, garlic & olive oil. Tender juicy chicken breast breaded and fried, served with coleslaw on the side. Meat or chicken patty in a fresh bun with fresh onion rings, pickles, tomato, coleslaw, French fries and ketchup served with coleslaw on the side. Char grilled assortment of shish tawouk, kafta kebab, orfali kebab and lamb cubes, grilled to perfection on charcoal and served with our delicious garlic paste. Char grilled assortment of shish tawouk, kafta kebab, orfali kebab and lamb cubes, grilled to perfection on charcoal and served with our delicious garlic paste, hommos, mutabbal, fattoush and pickles. Our delicious dough baked to perfection in our Arabic oven and topped with our flavorsome Wild Thyme & Extra Virgin Olive Oil mixture. Our delicious dough baked to perfection in our Arabic oven and topped with our flavorsome Wild Thyme & Extra Virgin Olive Oil mixture and melted Akkawi cheese. Our delicious dough baked to perfection in our Arabic oven and topped with fresh strained yoghurt and our flavorsome Wild Thyme & Extra Virgin Olive Oil mixture. Our delicious dough baked to perfection in our Arabic oven and topped with melted Akkawi cheese. Our delicious dough baked to perfection in our Arabic oven and topped with melted Akkawi & Mozzarella cheese. Our delicious dough baked to perfection in our Arabic oven and topped with melted Halloumi cheese. Our delicious dough baked to perfection in our Arabic oven and topped with our famous aged cheese mixed with chopped tomato, onion, parsley and Extra Virgin Olive Oil. Our delicious dough baked to perfection in our Arabic oven and topped with cheese and our famous aged cheese mixed with chopped tomato, onion, parsley and Extra Virgin Olive Oil. Our delicious dough baked to perfection in our Arabic oven and topped with mouthwatering cheese and tender minced meat. Our delicious dough baked to perfection in our Arabic oven and topped with mouthwatering cheese and spicy sausages. Our delicious dough baked to perfection in our Arabic oven and topped with mouthwatering cheese and turkey. Our delicious dough baked to perfection in our Arabic oven and topped with mouthwatering cheese and hot dog slices. Our delicious dough folded in a triangular shape and filled with our famous spinach, onion & pomegranate syrup filling, baked to perfection in our Arabic oven. Our delicious dough folded in a triangular shape and filled with our famous spinach, onion, cheese, walnut & pomegranate syrup filling, baked to perfection in our Arabic oven. Our delicious dough folded in a triangular shape and filled with our famous water cress, onion & pomegranate syrup filling, baked to perfection in our Arabic oven. Our delicious dough baked to perfection in our Arabic oven and topped with our traditional home made sun-dried yoghurt and cracked wheat with chopped tomato. Our delicious dough baked to perfection in our Arabic oven and topped with our traditional home made sun-dried yoghurt and cracked wheat, chopped tomato and our famous spicy Shatta. Our delicious dough baked to perfection in our Arabic oven and topped with our fresh strained yoghurt. Our delicious dough baked to perfection in our Arabic oven and topped with a mixture of tender minced meat, chopped tomato & onion. Our delicious dough baked to perfection in our Arabic oven and topped with a mixture of tender minced meat, chopped parsley & onion. Our delicious dough baked to perfection in our Arabic oven and topped with mouthwatering cheese and a mixture of tender minced meat, chopped parsley & onion. Our delicious dough baked to perfection in our Arabic oven and topped with our famous egg omelet. Our delicious dough baked to perfection in our Arabic oven and topped with our famous mixture of eggs and homemade meat preserve. Our delicious dough baked to perfection in our Arabic oven and topped with melted Kashkawan cheese. Our delicious dough topped with turkey ham, mushrooms, corn, oregano, mozzarella cheese & pizza sauce and baked to perfection in our Arabic oven. Beef salami, mozzarella cheese & pizza sauce. tomato slices, mozzarella cheese & pizza sauce. Our delicious dough topped with mushroom, tomato, capsicum, onion, black olives, mozzarella cheese & pizza sauce and baked to perfection in our Arabic oven. Tender chicken breast breaded and fried, wrapped with our delicious garlic paste, pickles, coleslaw and French fries in our Lebanese bread. Our famous tender minced lamb with parsley & onion skewers grilled to perfection, wrapped with hommos , pickles, parsley & onion wedges in our Lebanese bread. Tender lamb cubes grilled to perfection, wrapped with hommos , tomato, pickles, parsley & onion wedges in our Lebanese bread. Tender chicken pieces marinated in garlic, lemon sauce and olive oil, grilled to perfection, wrapped with our delicious garlic paste, pickles, romaine lettuce and French fries in our Lebanese bread. Fresh chicken liver cooked to perfection, flambéed in lemon & pomegranate syrup, wrapped with our delicious garlic paste, pickles, tomato and French fries in our Lebanese bread. Spicy sausages flambéed in lemon & pomegranate syrup, wrapped with our delicious garlic paste, pickles, tomato and French fries in our Lebanese bread. Meat or chicken patty, served in a fresh bun with fresh onion rings, pickles, tomato, coleslaw, French fries and ketchup. Our fresh crispy French fries, wrapped with our delicious garlic paste, pickles, coleslaw and ketchup in our Lebanese bread. Samoun bread, tuna, mayonnaise, pickles, lettuce & tomato. Samoun bread, spicy sausage, mayonnaise, tomato, lettuce & pickles. Samoun bread ,grilled chicken, mozzarella cheese, mayonnaise, pickles, lettuce & sweet corn. Samoun bread, chicken liver, garlic, pickles & lettuce. Wrap with chocolate, banana & nuts.